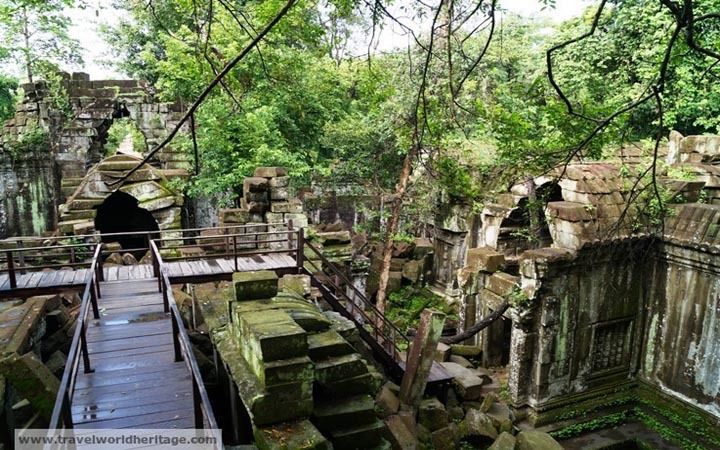 Built during the reign of King Suryavarman II and is contemporary with Angkor Wat and Thommanon. 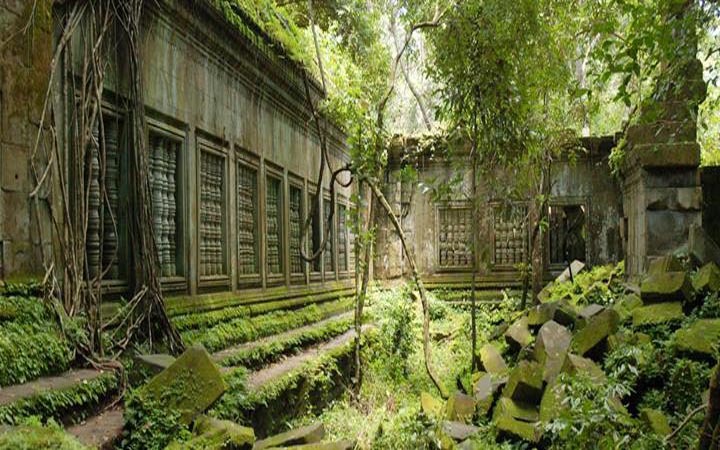 This period of temple design is considered the ‘Golden Age’ of classical Khmer architecture and represents the high water mark of the Angkorian empire. 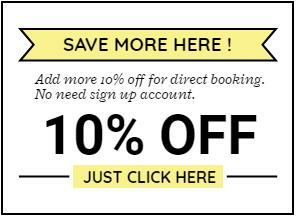 Koh Ker is located 130km from Siem Reap and a visit there is easily combined with a trip to Beng Melea. 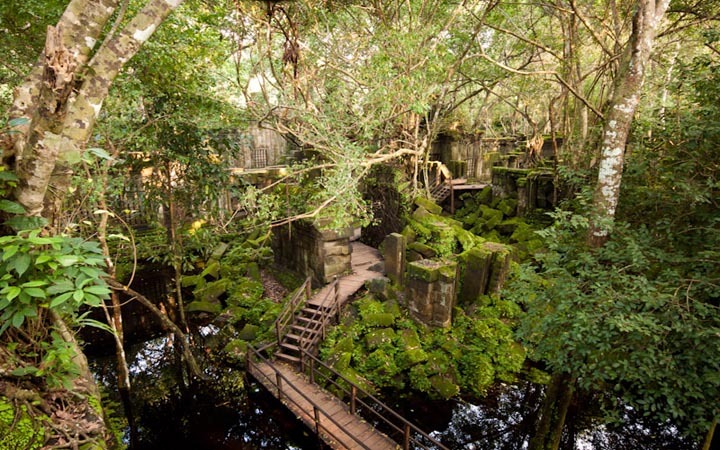 Koh Ker was constructed during a period of internecine strife within the Angkorian kingdom and became the temporary capital of King Jayavarman IV. 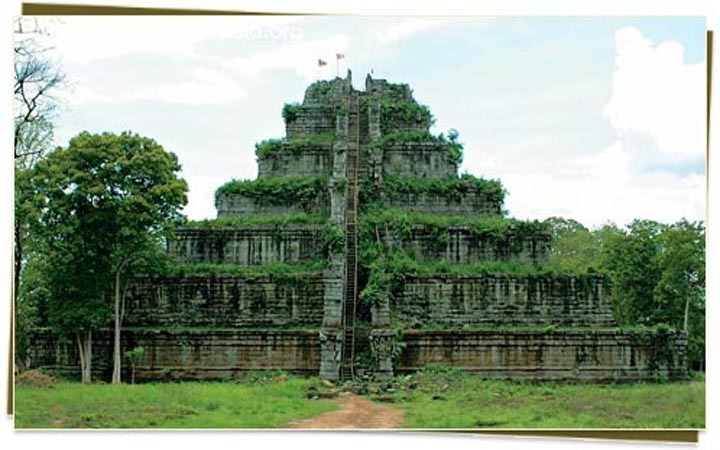 The main temple at Koh Ker is a 7-tier step-pyramid that would not look out of place on the Yucatan Peninsula. A wooden walkway to the summit has improved access and safety and the views from the top are rewarding. Sadly there has been considerable logging activity in this area, so the surrounding jungle isn’t as lush and dense as it once was. However, there are still sufficient trees in the immediate vicinity of the temple to provide a degree of atmosphere. 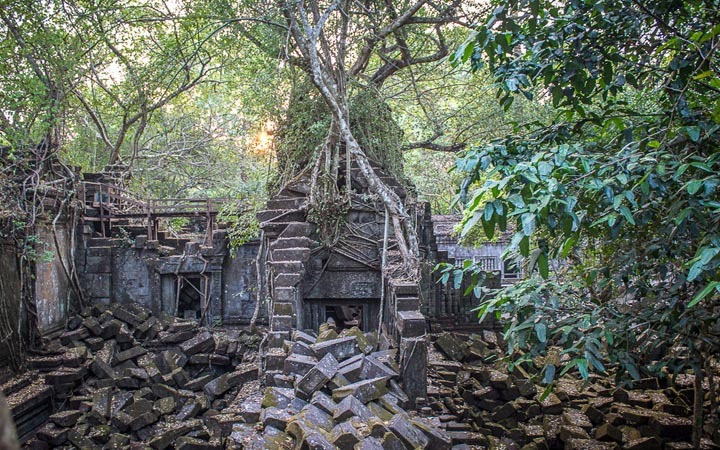 In addition to the main temple there are several interesting Prasats scattered through the nearby forest and these can be included in the tour. 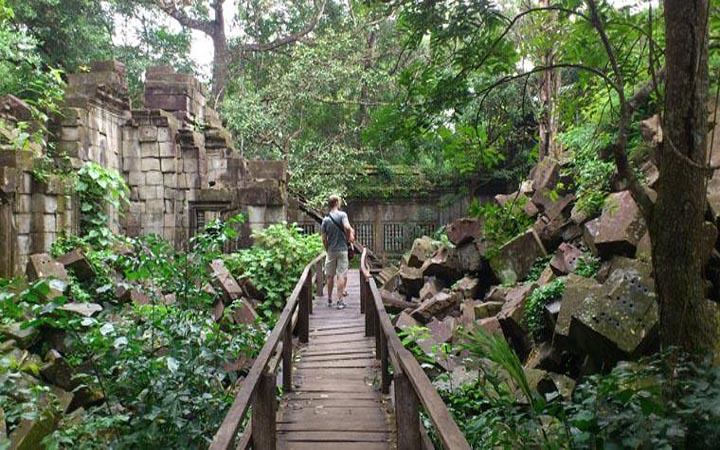 Beng Melea is located about 80km from Siem Reap and its tumbled ruins and underground passageways offer tourists an authentic Indiana Jones experience. There are wooden walkways over the more hazardous areas but these don’t detract from Beng Melea’s ambience. 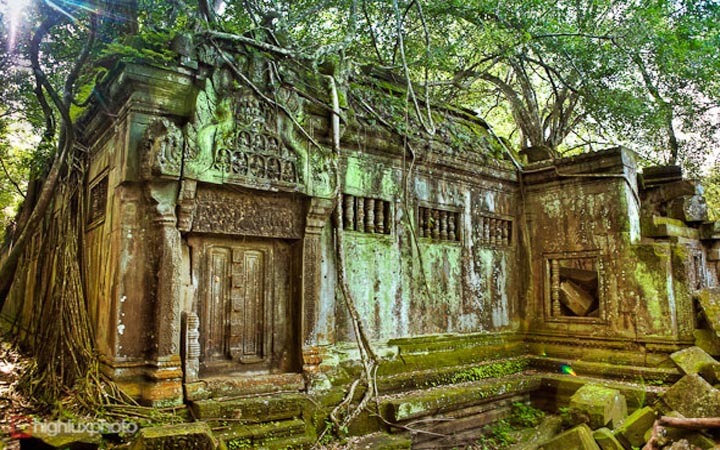 Creepers festoon the walls and carved lintels lay buried under thick moss and jungle growth. There are some superb examples of Apsara carvings on the extant parts of the temple, but the real charm of Beng Melea is its sense of ruined grandeur.